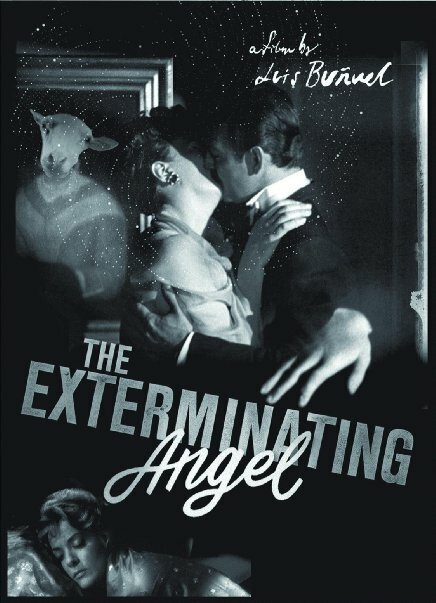 Thomas Ades' new opera The Exterminating Angel, which comes to Covent Garden next year, premieres at the Salzburg Festival on 28 July 2016. The work is a co-commission and co-production between the Salzburg Festival, the Royal Opera House, Covent Garden, the Metropolitan Opera and Den Kongelige Opera, Copenhagen. In Salzburg the opera is being performed at the Haus für Mozart. Thomas Ades conducts the ORF Radio-Symphonie Orchester Wien and the director is Tom Cairns with designs by Hildegard Bechtler. The opera is based on the Louis Bunuel film El angel exterminador and the libretto is by Tom Cairns in collaboration with Thomas Ades. Bunuel's film was written after Bunuel's abortive return to Spain in 1960 when the film he made there, Viridiana failed to satisfy Franco's regime. Back in Mexico, Bunuel made El angel exterminador, a film which appears to satirise the ruling elite of Spain, though Bunuel never explained the quasi-surreal plot in which a group of dinner-party guests are trapped in a a room with the dinner party descending into squalor and chaos. (You can see the original trailer for the film on YouTube and there is also a fascinating interview with Sylvia Pinal who starred in the film). The film has quite a large cast, and this has been transferred to the opera where there are at least 21 named roles (Tom Cairns has managed to reduce the plays 21 principal characters down to a mere 15!). For me, one of the problems with Ades' The Tempest was that he had kept all of the play's characters and some of the roles seemed to have no time to make an impact in the opera. It will be interesting to see how the new opera copes with this problem, especially as the cast includes such luminaries as Anne Sofie von Otter, Sally Matthews, Christine Rice, Sophie Bevan, Amanda Echalaz, Charles Workman, Iestyn Davies, Ed Lyon, Thomas Allen and John Tomlinson!